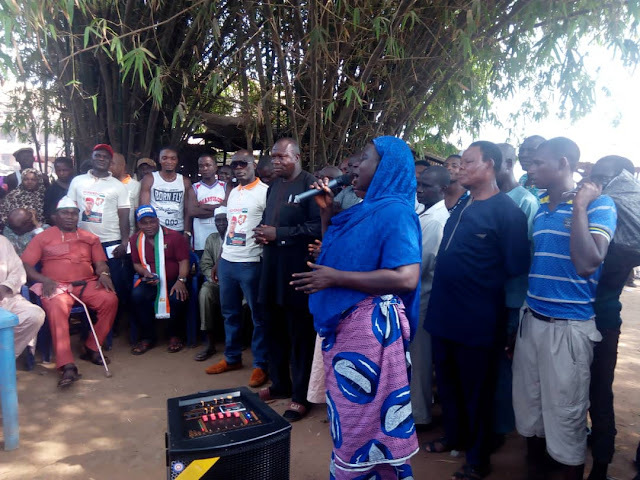 BREAKING NEWS: NORTHERN TRADERS IN AWKA STAND BY OCHENDO FOR 2019 CONSTITUENCY POLLS. 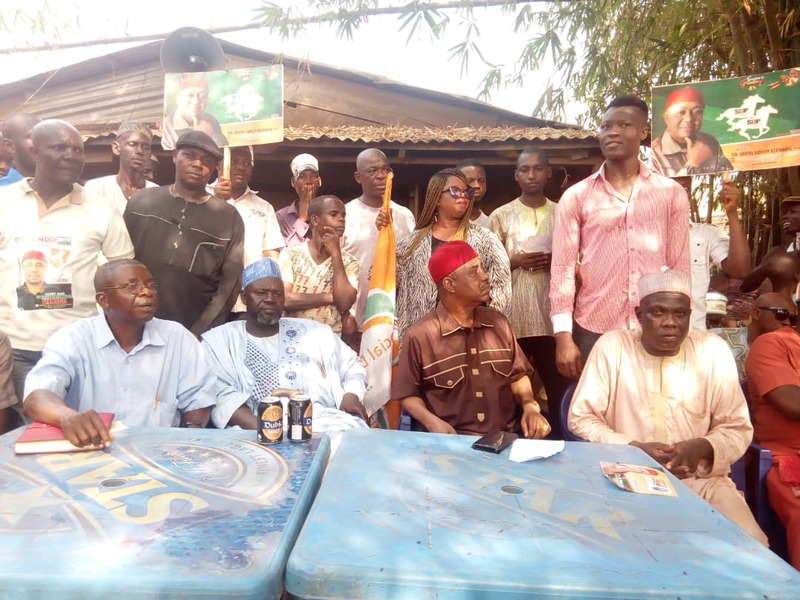 The identity of the candidate whom the Northern Traders and their kinsmen in Awka would be casting their votes for in the forthcoming Awka North and South Federal constituency elections is no longer a mystery as it was made official this afternoon in Garriki Market, Amansi as Chief Godson Ezenagu and his entourage paid a courtesy visit to the traders whom are mostly of the Hausa and Fulani tribe. In his welcome address, Alhaji Bello Maigari, Chairman of the Market, who spoke in Hausa and English at intervals, welcomed and thanked Ochendo for coming to see them while also acclaiming him as one of their own. According to Alhaji Maigari, he and his kinsmen, especially all Northerners in the market were not ignorant of the things that have been happening in the state political sector and were quite aware that he had left APGA and the reason behind it, they reminded him that they had supported him in the past and were ready to pull their weight behind him once more and that victory was certain this time around. The women leader of the market (name withheld), in agreement spoke in turn saying that concerning the elections and their preferred candidates, wherever the men stood, the women would follow, so since the men had chosen Ochendo as their man, he had automatically gotten the support of all Hausa women in Awka too. Next to speak was the market youth leader who aired the views of the early speakers by assuring Ochendo of giving him his support and likewise the support of the whole hausa youths. 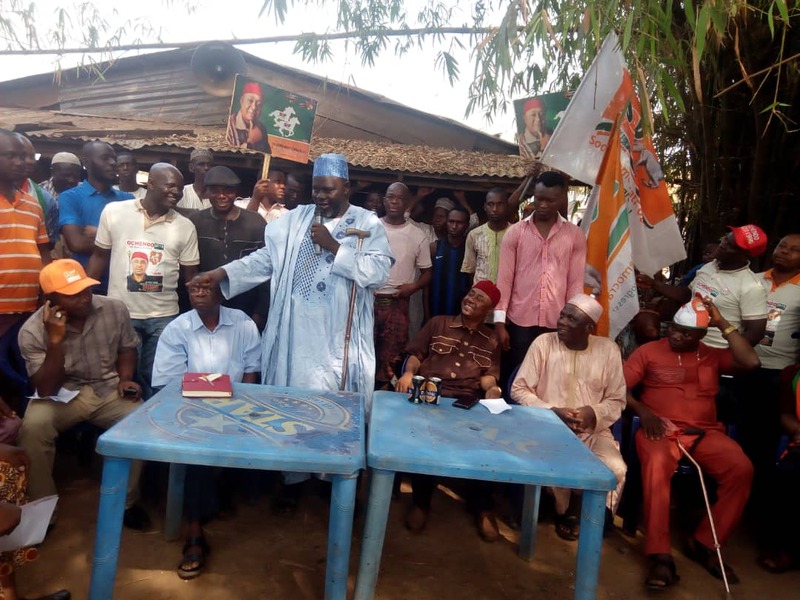 Finally, the Deputy Chairman of the Market, Alhaji Sarka Sule in conclusion said he and his people are giving Ochendo their support, not only those who trade in the market but extending to all their kinsmen who reside in Awka and promised to spread the word to them. Ochendo in his vote of thanks spoke, overwhelmed by the extreme show of love, thanking them for welcoming him in the manner of which they did. He went on to narrate his life adventure in kano where he not only married his wife there, but also built his wealth there. "Kano made me what I am today and the Hausa people are my brothers." He said. "That is why when I was the Commissioner for agriculture and the government tried removing you traders from Gariki market, I stood wit you, making sure the market stood and even when they removed you from eke awka market, I bought units for you. I couldn't stand seeing you marginalized and maltreared." he added.